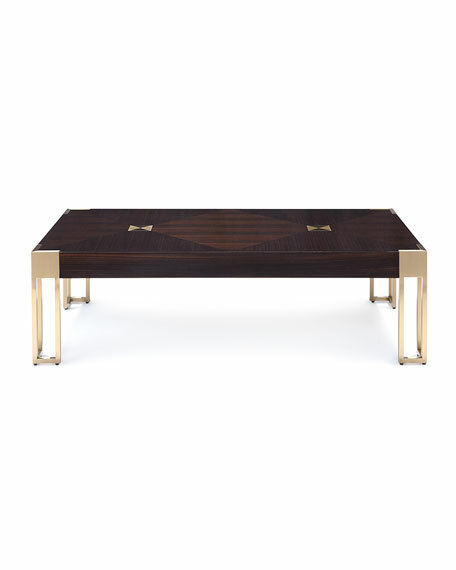 Sophisticated, bold and handsome, this table brings together smoked figured eucalyptus finished recycled wood with brushed brass accents. Stainless steel frame; wood top. 60"W x 30"D x 17"T.
For in-store inquiries, use sku #2278224.